Michy Batshuayi alleged that he was a victim of racist chants during the German club's Europa League clash against Atlanta. What’s ailing the Bihar’s children? 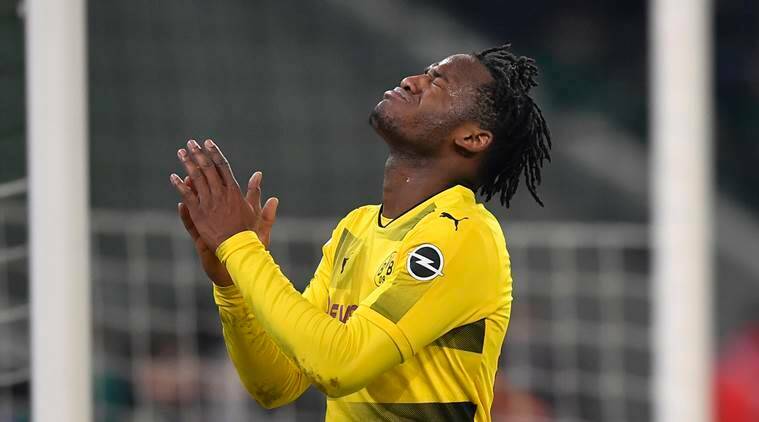 Borussia Dortmund striker Michy Batshuayi alleged that he was a victim of racist chants during the German club’s Europa League clash against Atlanta on Thursday night at Mapei Stadium. Batshuayi took to Twitter and slammed those participating in the chants from the stands saying that he couldn’t believe these things still happen in 2018. 2018 and still racists monkey noises in the stands … really ?! ??????? hope you have fun watching the rest of @EuropaLeague on TV while we are through ?????? #SayNoToRacism #GoWatchBlackPanther ??? This is not the first time Atlanta has been accused of racist chants. Last month, the Italian football club received a suspension of one-game stand closure after Napoli defender Kalidou Koulibaly had a similar experience during a Serie A match. Dortmund drew 1-1 as Marcel Schmelzer cancelled out Rafael Toloi’s opener for the Italians. The German club beat Atalanta 4-3 on aggregate on Thursday to advance to the round of 16.